This week sees new anime releases from Buena Vista, FUNimation Entertainment, and Sentai Filmworks. 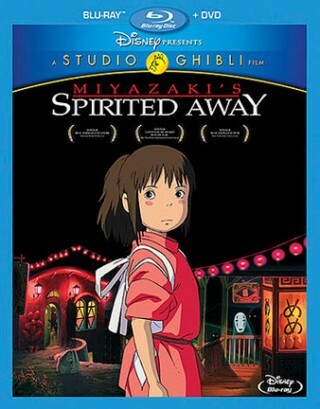 Starting with this week’s new releases, I will be featuring a “Pick of the Week.” My choice this week is the re-issue of Hayao Miyazaki’s Spirited Away as a Blu-ray/DVD combo pack. Buena Vista – Sub and Dub – MSRP: $36.99 Get it for $21.96! While on holiday with her parents, a young girl named Chihiro accidentally stumbles into an enchanted village where ancient Japanese demons go for rest and relaxation. After her parents are unfortunately transformed into enormous pigs, Chihiro is forced to take a job as a cleaning girl in a devil-filled Japanese bath house, where she contends with eight-legged spider-men, gorgeous sky-dragons and a silent, love-struck wraith. Ayumu breaks Haruna’s magic chainsaw and accidentally exposes his fondness for pretty pink dresses to the entire school. Next there’s an incident with a dreadful dance that turns out to be a curse – and an embarrassing trip to a maid cafe where all the zombie’s roommates work. But the shenanigans take a backseat to bigger problems when Ayumu’s mysterious drinking buddy turns out to be the most powerful magical girl of them all.